I mentioned in a post earlier that my cousin sister did a makeup look on me and I wanted to post it up on my blog just so you girls see something different to the usual tutorials done by me. Did was all her work and she being a makeup enthusiast, has done a good job! The look she went for is inspired by the mermaids so enjoy the look! Prime your lids with an eye primer or a peachy toned concealer to neutralise and discoloration on your eyes. Apply tape to your outer V area. 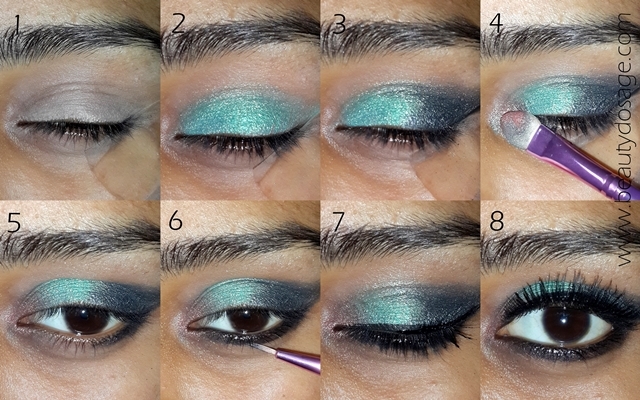 Apply a sea green shimmery eye shadow all over the lid area. Apply a black eye shadow on the outer V of the eye. Since we have tape on, this will give a defined outer V without creating a mess which is great for beginners! Using a shimmery bronze shade, apply it to your tear duct area. Using a darker shade as opposed to a lighter shade is helpful for those with a wide space between your eyes. Apply the black shade on the outer third of your lower lash line. 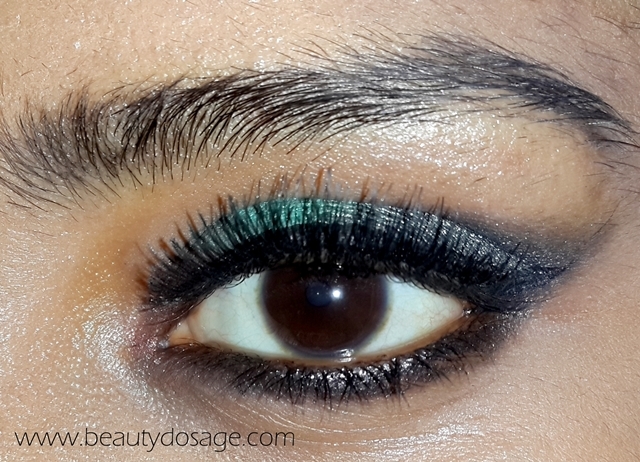 Using a lack kohl line the entire lower lash line and soften it with a matte black shade. Line the upper lash line with a black liquid liner of your choice and wing it a little bit. Finish off with mascara and falsies! I hope you all loved this look, a HUGE THANK YOU to my cousin for doing this look on me, I loved it and love her too!